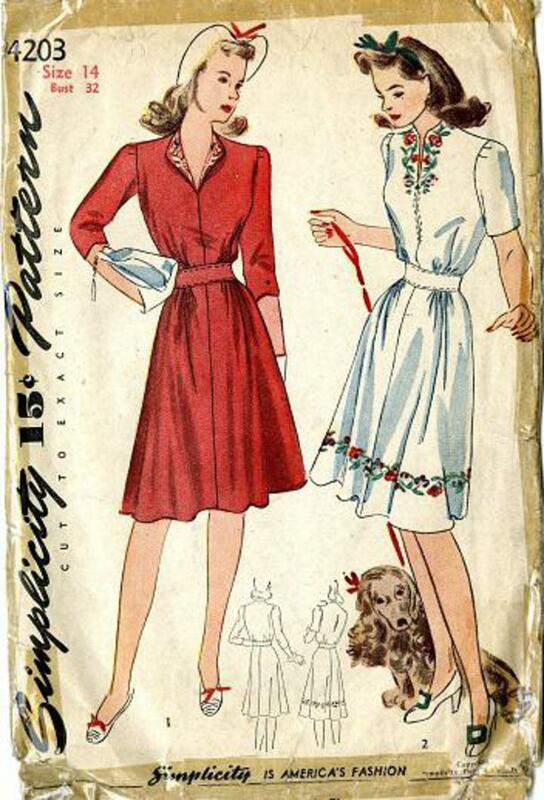 1942 Simplicity #4203 vintage sewing pattern, misses' dress with original transfer, size 14. The fronts are faced and may be turned back to form revers, or closed with a slide fastener. 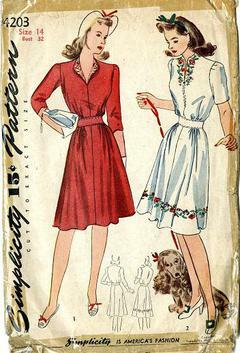 The bodice, gathered at the lower edge, joins the skirt at the natural waistline through an inset belt, and gathers are released in the skirt front. Choose 3/4 or short sleeves. Unprinted tissue pattern, complete with original transfer. NO INSTRUCTIONS, sold AS-IS.